Almost 2,000 British Prisoners of War were aboard the Japanese freighter 'Lisbon Maru' when an American submarine torpedoed and sank her in October 1942. This book tells the story of those men from the fighting in Hong Kong, through the sinking, and for some, to liberation and beyond. Although never previously studied in any depth, the sinking of the 'Lisbon Maru' was the most costly American-on-British ' Friendly Fire' incident of the Second World War. Of the 4,500 of Hong Kong's garrison who perished during the war, 1,000 died directly or indirectly from this sinking. 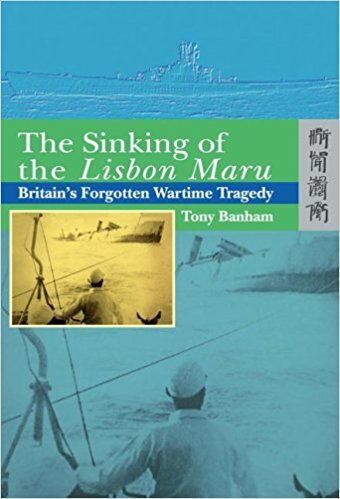 From American, British, Hong Kong and Japanese sources this book reconstructs the fateful voyage of the 'Lisbon Maru' and the experiences of the captives, the captors and those on board the submarine that sank her. The book will be of interest to anyone wishing to know more about the 'Hell Ships' that caused the deaths of almost 20,000 Allied Prisoners of War or about the experiences of Allied POWs in Japan. Tony Banham is a long-term resident of Hong Kong having arrived in the 1980's. He has been studying the Battle of Hong Kong for well over a decade and has written on the subject, aided in the production of numerous television documentaries and helped many children of veterans in their researches into their father's war years. His first book on the subject ' Not The Slightest Chance - The Defence of Hong Kong 1941 ' was jointly published by Hong Kong University Press and the University of British Columbia in 2003.